The Italian swapped Newcastle for Milan in 2015 but still follows the Magpies and believes they will be fine under Benitez. Davide Santon left Newcastle United almost four years ago now but admits he still looks out for the teams' results. Santon has played for Inter Milan and Roma since leaving the Magpies but says Newcastle are 'close to my heart'. The Italian struggled for regular game time at the San Siro and thus getting a move to Roma as part of a deal which saw Radja Nainggolan going the other way. Santon told the Chronicle: "I still follow and support Newcastle United as it’s a team close to my heart. "I wish them all the best." Santon feels the club is in safe hands as long as Rafa Benitez is in charge, as he worked with him before he left Milan. The full-back added: "I worked with Rafa Benitez in Inter Milan when I was younger, he is a great guy. And I think will do very well managing Newcastle through to this next phase." Santon was part of the Newcastle side that qualified for the Europa League in 2012 and was a fan favourite during his time on Tyneside. 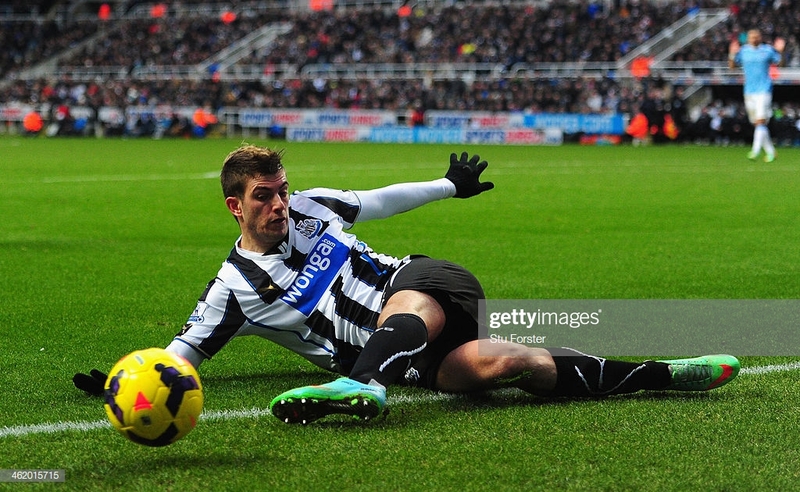 Santon said: "Newcastle was one of the best experiences of my career, I loved the city, the fans and the club. "The 2011/12 campaign is very memorable for me, we were a very strong team with a lot of great players. "We were so close to the fourth position and the Champions League in the Premier League and managed to get to Europa League!" Santon has claimed before that he would consider moving back to Tyneside and settling down once his career is finished. This may be down to the fact he met his girlfriend while playing for the Magpies. Santon said: "My girlfriend is from there and so I still visit regularly too." The fans took to Santon quickly with his attacking presence down the left and were sad to see him leave and many believe he was pushed out the door instead of leaving on his own accord.